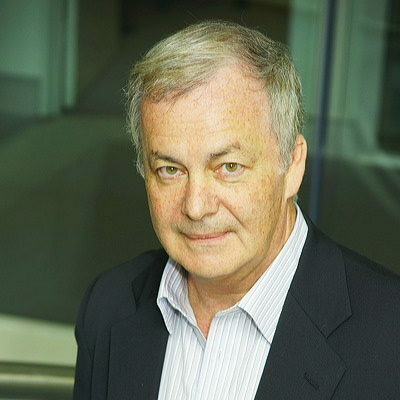 A Fellow of the Australian Academy of Science and foreign member, Royal Danish Academy of Sciences and Letters, Dr. Graham’s research for many years has focused on molecular cardiology, with emphasis on circulatory control mechanisms, hypertension, receptor signaling and cardiac hypertrophy. Recently, he has also been actively involved in studies of cardiac regeneration and the application of stem cells for the treatment of heart diseases. Dr. Graham is a member of the Research Committee, National Health and Medical Research Council; the Appointments and Promotions Committees of the Queensland Institute of Medical Research and Garvan Institute of Medcial Research; the Scientific Advisory Boards of the Institute of Molecular Biosciences, University of Queensland and the Centre for Vascular Research, UNSW; Mesoblast Ltd., Melbourne, and Zensun Ltd., Shanghai; and Chairman, Scientific Advisory Boards of The Bosch Institute, University of Sydney and the Oxford Nuffield Medical Fellowships Committee (Australia), and Board Member, VCCRI, EngeneIC Ltd, Sydney and the Lowy Medical Research Institute. He serves or has served on the Editorial Boards of the Journal of Biological Chemistry, Circulation Research, Journal of Molecular and Cellular Cardiology and Molecular Pharmacology.